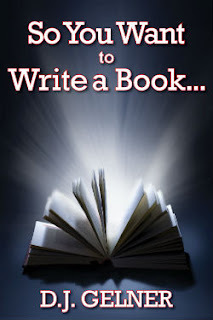 So you've thought about what it takes to write a book, and you have a killer idea, as well as some prep work done on that idea. Great! Congrats on making it this far. I know you're itching to "start writing, damn it! ", but before you do, there's a good reason why you should pause and take a personal inventory before you begin. I mean that literally; inventory all of the writing tools currently at your fingertips. It might be something as simple as "Laptop, Word, notebook, pen." That's pretty much what I started out with, but I'm going to tell you right now, especially if you plan on writing more than one book, you'll be better served by beefing up your toolbox a bit before you start. While it's possible to, say, convert a manuscript from Word to a program like Scrivener after you start, it's much, much easier to just start in Scrivener and go from there. "What's Scrivener?" We'll get to that in a minute. For now, even though this post is sub-titled "What You Need to Publish Your Indie Book For Cheap," I think the advice equally applies to traditionally-published authors, with the exception of some of the design software. Idea Notebook: This is the small notebook you should be carrying around with you at all times. I prefer the Moleskine Ruled Pocket Notebook, especially since I tend to be pretty tough on stuff in my pockets and Moleskine has some of the most durable products in the business. I've also had success with the thinner Moleskine notebooks, which you can get in a pack of three for a little less cash. Budget Option: Pocket notebooks can go for as little as $2 for a two pack at a place like Target. Larger Notebook: I also like to have a larger notebook that I can use for mind-mapping, free-writing, and ideas. I usually go with Five Star Three-Subject Notebooks, since, again, they're durable and high-quality. But anything from a legal pad to one of those black-and-white-covered Composition Journals that everyone remembers from high school should be just fine. Budget Option: A cheap notebook or legal pad is available for under $1. Pens: Ever since grade school, I've been a bit of a pen snob. I don't have any idea why; I just like the "flow" that a superior rolling ball gives me. Though back then I preferred the trusty old Pilot V5s and V7s, I since had a mishap with a cap on one of those, so now I favor retractable gel-based ink. For my money, there's nothing better than the Uniball Signo Blue Pens. They're a bit expensive, but like I said, I'm a pen snob--feel free to use cheap pens or even ones you "conveniently forget to return" at hotels. Keep in mind, I like blue ink for versatility's sake, since you might want to use these for editing proofs of your paperbacks, as well. Budget Option: You can't beat free pens that are given away at any number of events. Barring that, you can find 60 more than adequate ballpoint pens for a little over $6.00, and can probably do better than that if you're hunting for deals. Computer: Even if you write out every word of your book longhand with a quill pen on parchment, you're going to need a computer to publish your book, or get it ready to send to a publisher. If you have the money to splurge, I strongly recommend the MacBook Pro. I got the most budget-conscious 13" edition almost two years ago, and it still runs like brand new, despite how many different programs I constantly keep open on it. Budget Option: If you're working on a budget, or don't feel comfortable with a Mac, I'd suggest looking at sites like Tiger Direct, New Egg, or Buy Dig, as they run sales on cheaper laptops quite frequently. Be sure to look up reviews on CNet or a smilar site to make sure that you aren't getting a lemon. Also keep in mind that if you want to do your own covers in inDesign, you'll need a machine capable of handling that beast of a program. The best I can do for something that is "functional" (but likely can't handle inDesign) is a $199 refurb from TigerDirect. The link takes you to their current refurb deals--that's going to be about as good as you can do. Scrivener: I can't sing the praises of Scrivener enough. When I started out as an indie writer, I thought for sure I'd have to spend a ton of money formatting books, not to mention the headaches that become apparent with Word once you get over 30,000 words or so in your manuscript. Scrivener is the one product that absolutely is not optional for the writer starting out today. It's only $45, and will pay for itself by the time you finish your first book. For now, just know that a formatter will charge you $50 to get your book properly formatted into a single file type (.MOBI, .EPUB, or even .DOCX--you'll likely need at least two of the three). Scrivener will do it quickly and painlessly for no additional charge once you've bought the program. You can try it for free at the link at the beginning of this paragraph; I did, and had bought the full version within an hour. Additionally, Scrivener can format your document into manuscript form painlessly and easily if you want to submit it to publishers as a short story (why you shouldn't submit novels and longer works directly to agents or publishers anymore will be dealt with in future posts). Budget Option: There is none here. Even if you have to scrimp and save, do it to get Scrivener. Scrivener for Dummies: Gwen Hernandez has done a wonderful job of putting together a resource to help you fully harness the power of this wonderful, powerful program. Get a copy of this book and start reading it, cover-to-cover, in your free time while writing. Even if you have to put it in your (ahem) "reading room" to get it done, if you catch my drift. Budget Option: You can go through the Literature and Latte tutorial site for free and Google various Scrivener support options for nothing. I still prefer Gwen's book, though, since she has all of the info in one place. Microsoft Word: I know, I know: "Word's so expensive! I thought you said that this Scrivener did everything for you!" Scrivener does a lot, but as I've discovered more about advanced formatting of paper books, I've found that having a copy of Word helps a lot. I still write blog posts in Word, for what it's worth. If you're only putting up ebooks, then I think you can get away with Scrivener just fine. If you want to have your book available in print, or even if you want to start a blog as a promotional tool, you're going to have to bite the bullet and get a copy of Word. Budget Option: I really, really dislike Open Office, but some people swear by it. It's likely "good enough" if you just want a Word substitute for blog posts and such. I cannot speak to its functionality as far as blocking and formatting a print book, though. It's free, so have at it. Adobe inDesign: inDesign is a tool that separates the pros from the wannabes. A lot of folks see that I'm paying $20 a month for a piece of software (the horror!) and think that I've lost my mind. While I have lost my mind for other reasons entirely, I can't tell you how often I use this program to make covers for books and short stories (like the cover for Rogue, at right), for articles that I put up on Scribd, for header and footer pictures, for title pages; the list goes on-and-on. Sure you might be able to get by with a Photoshop facsimile like GIMP, or you may think it's cool to pay $50-500 per cover, but I've already gotten the $240 of value from this program so far this year and then some. On a side note, if you are going to use inDesign to make covers, I'd highly recommend taking a class like Dean Wesley Smith's cover design course; it may seem like a chunk of cash, but consider that the (admittedly awesome) cover for Jesus Was a Time Traveler cost me $349, and would now cost $549. DWS's cover class has made it so that I feel comfortable enough making my own covers for the cost of some good art off of Dreamstime. Budget Option: Hire a cover designer who's starting out to do your cover on the cheap. This can run anywhere from $20 to $50 (and higher, if you want a pro). These folks used to be all over the KDP boards, but they haven't been too active as of late. Still, Google searches are your friend here. I cannot stress this enough: if you don't know how to make a pro-looking cover, outsource it to someone who does. A PDF Reader: Finally: something for free! I love using Preview on Mac, but Adobe has made some upgrades to their free Reader program that make it a worthy rival to Apple's product. You don't necessarily need it at the start, but when looking at print covers and formatting your book proof for print, it will be invaluable. The Kindle Reader App for Your PC or Mac: You need this to make sure the formatting in your book looks okay; no weirdly-spaced lines or hanging orphans, if possible. The good part is that the Kindle apps for computers are the absolute worst that your book is going to look. Sure, the spacing might get a bit wonky on your phone reader from time-to-time, but I think folks are more forgiving of that because it still happens with the big-time publishers, as well. I think that about covers it. Did I miss anything that anyone else uses to write and/or publish? If so, let me know in the comments.